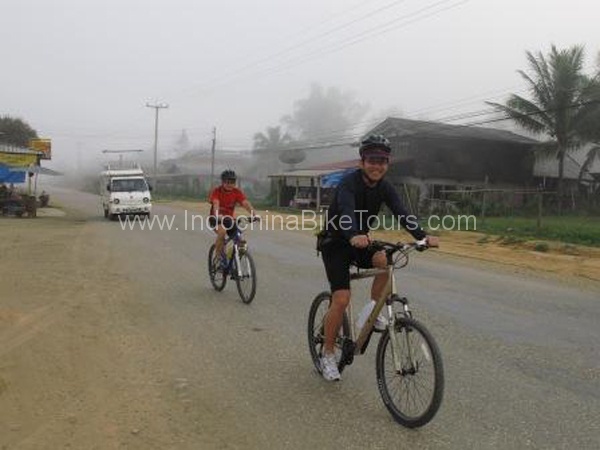 Our tour cycles through the sleepy heartland from pious Mandalay on the storied AyeyarwaddyRiver and the picturesque InleLake, before flying back to the capital, Yangon. 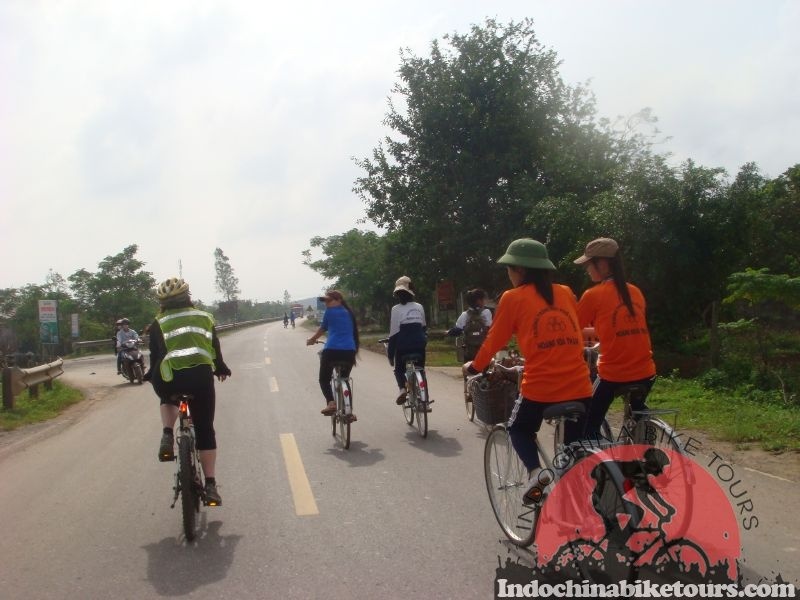 On the way we’ll visit the ancient city of Bagan, cycling amongst the thousands of pagodas, stupas, and temples that dominate the river valley that was once the center of a powerful and deeply religious empire. 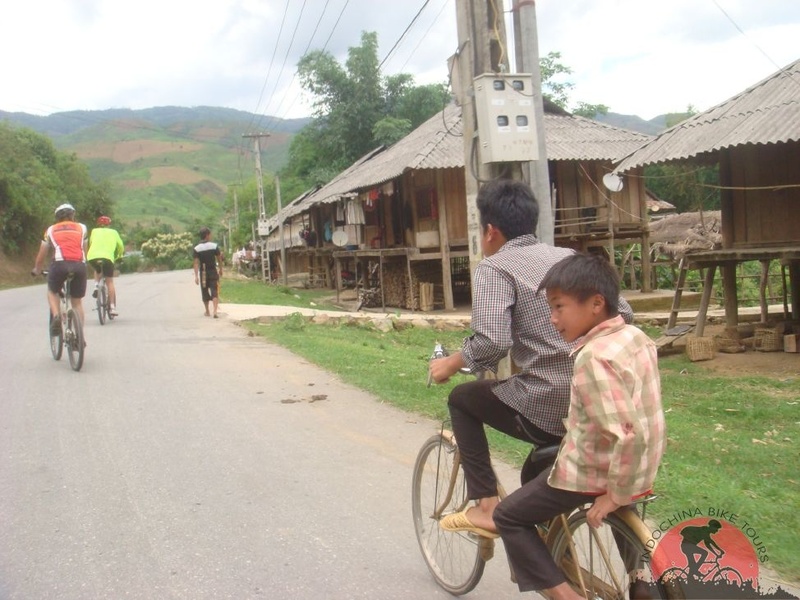 Riding through the countryside, we will be greeted by a warm and friendly people few tourists see or meet. 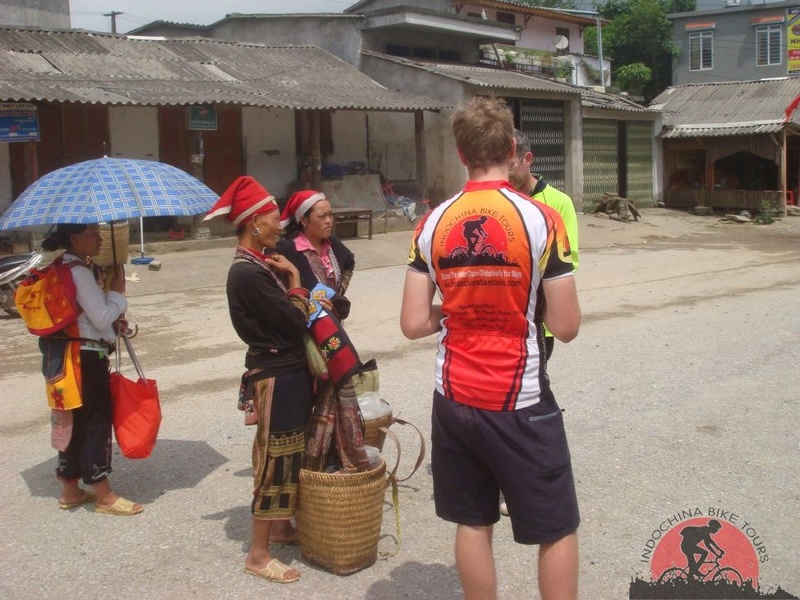 In the mountains we’ll encounter a variety of tribal people, as well as enjoying the splendid colonial charm of Kalaw, where the officers of the Raj escaped the high heat of the Burmese summer. Morning Yangon arrival from Bangkok. 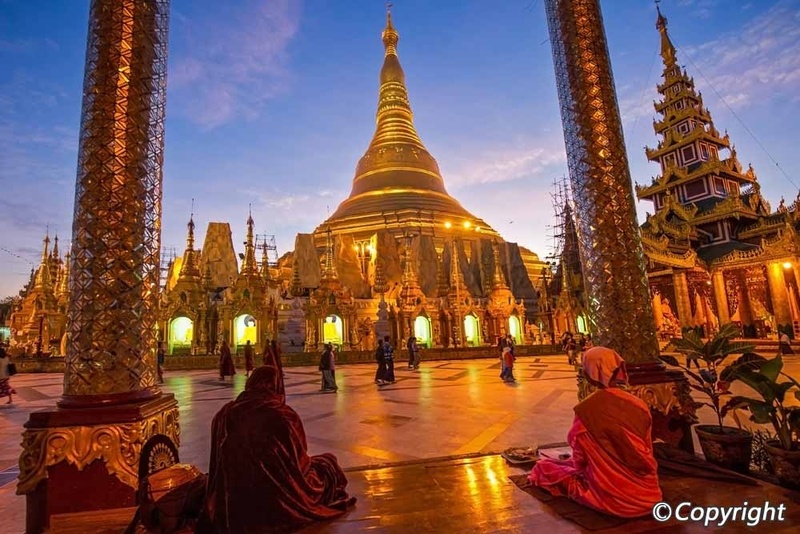 Following a first taste of local cuisine during lunch, we will tour of the vibrant and diverse capital of Myanmar ending with sunset at the spectacular Shwedagon Paya. After orientation dinner, strolling through the night market and downtown area near the hotel. After breakfast, transfer to the airport for our short flight to Heho and transfer to mile-high Taunggyi, the capital of the Shan state and former British colonial hill station. After lunch, bikes assembly and testing with a brief ride around town to familiarize everyone with Burmese-style roads and traffic (giving wide berth to the oxen). Early morning departure by bus to Kakku, a lesser known but impressive site comprised of several thousand small stupas in the Pa O region. 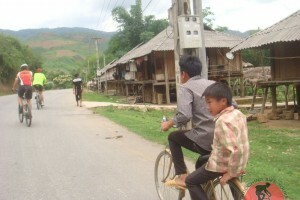 At last, cycling begins after lunch back to Taunggyi with a magnificent descent of nearly 2,000 feet to Inle Lake. We plan to spend the day visiting villages and sampling the spectacular array of traditional handicrafts. You will see the unique method locals use to row their boats, fishermen with their own style of fishing, floating farms and gardens and a handloom weaving cottage with its own showroom. You will visit Phaungdawoo Pagoda which houses the five most revered Buddha Images in the southern ShanState. Overnight at the hotel in Inle lake. 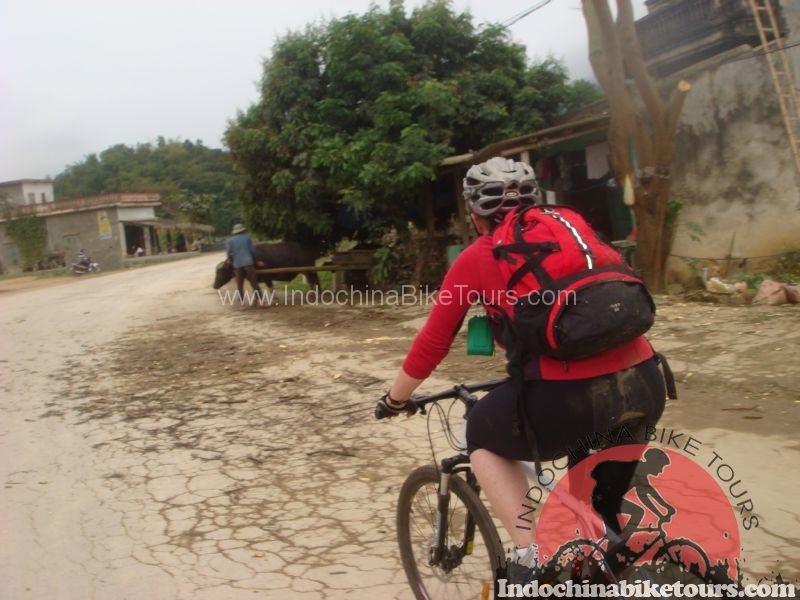 After breakfast at hotel, bike to Kalaw. 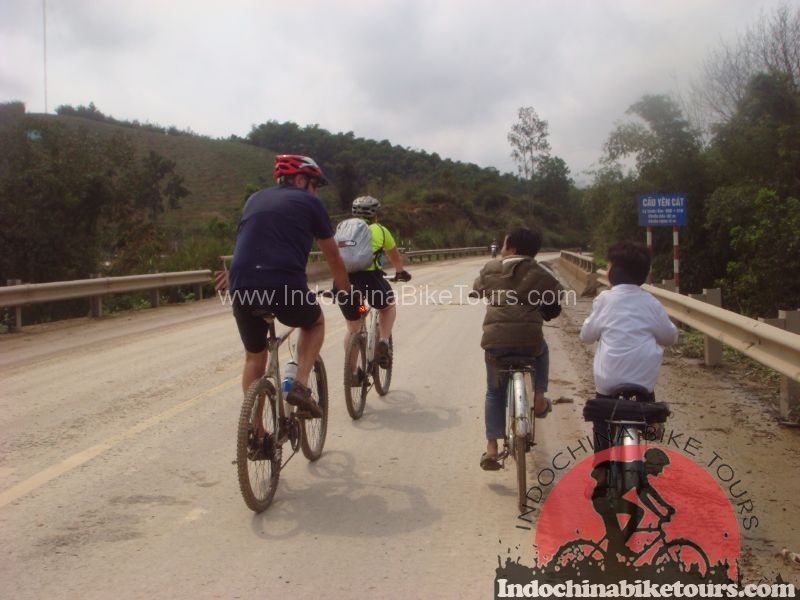 The short but challenging ride up out of the InleLake basin takes us through scenic country side to Kalaw, another hill station filled with interesting architecture. Depending on the time, we can wander through the market or ride around the city looking at the decaying colonial mansions. The most demanding day of the tour goes northwest on a recently paved road through mountains and jungle-lined roads to Kyaukse where the bus will transfer us the remaining distance “on the road to Mandalay.” Mandalay is the historic old capital, but remains the center of Myanmar culture and religion. It is also where traditional arts and crafts are centered. Myanmar abounds with historical sites, cultural memorials and Buddhist monuments and we will explore some of them after arrival. 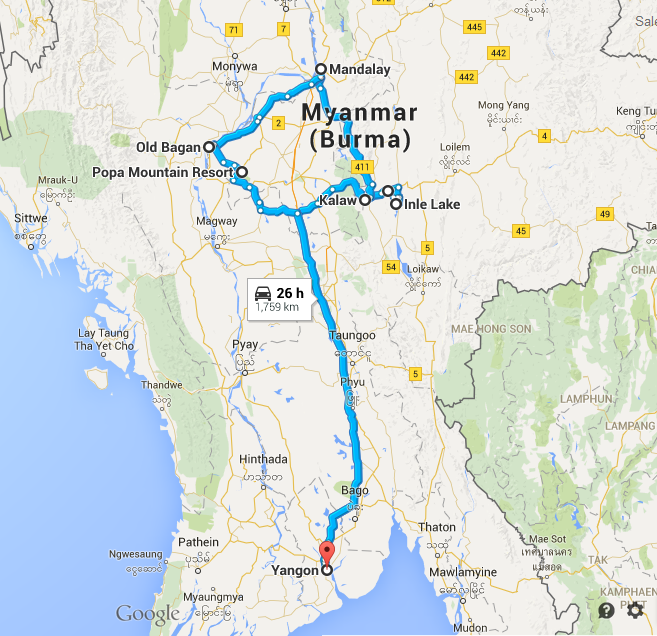 Day tour of Mandalay, the religious and cultural center of Myanmar. From ancient wooden palaces to massive pagodas to serene monasteries, Mandalay has it all. We will end the day with a sunset view from the peaceful Sagaing Hill across the Ayeyarwaddy River. After breakfast, transfer out of Mandalay by bus to Ondaw. Today features a ride west into the desert landscape of central Myanmar where bullock carts still significantly out number cars. There are several interesting sites to explore on the way to the provincial capital of Monywa including a pagoda with over 300,000 Buddha images and a monumental reclining Buddha. Heading south out of Monywa we take a seldom-driven road through a rice growing region along the Chindwind River to Pakokku. Here we take a local ferry across the river and transfer into Bagan by bus for sunset on a pagoda. Dinner and delightful, traditional puppet show in Old Bagan. With over forty square kilometers and thousands of pagodas, Bagan is nothing short of breath taking. If there is time, we can visit the market which has a pleasant mix of local and tourist shops. Dinner along the river outside will include a Myanmar cultural show of dance, athletics and puppetry with excellent photo opportunities. Mt. Popa and the final day of riding. 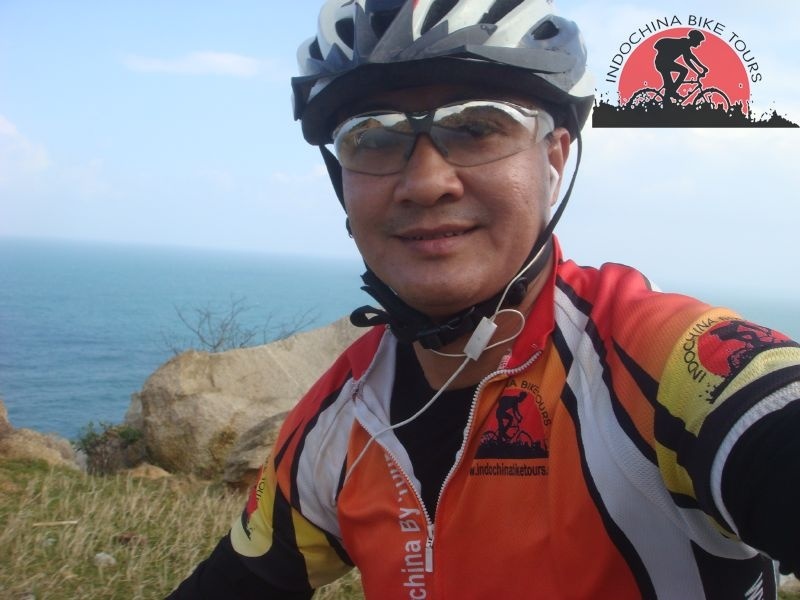 We cycle round trip to an extinct volcano, Mt. Popa, which dominates the area. Mount Popa was for centuries where kings of central Burma made pilgrimages to confer with the sacred statues about the future of their reigns.We’ll climb the hundreds of steps to the monkey-populated hill (feeding them if your brave enough), for a expansive, panoramic views of the surrounding area. 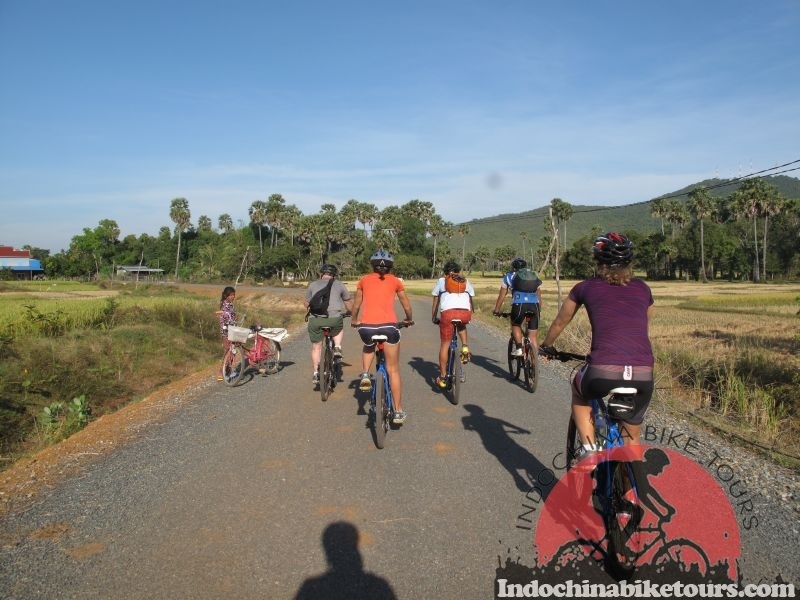 Optional return ride to Bagan. Another dramatic sunset in Bagan. Relaxing morning, packing up our bikes. Transfer flight to Yangon. Afternoon shopping or free time. Farewell dinner.